As on the Côte de Beaune, the Mâconnais produced classically taut, mineral-driven 2014s followed by very rich and in some cases exotic 2015s from a very warm, dry, early growing season. In short, the two vintages offer intriguing choices for every Chardonnay lover. When I visited the Mâconnais in September to get an in-depth look at the 2015s, many of them recently bottled, I hoped for the best but feared the worst from this hot, dry growing season and extremely early harvest. When it comes to Chardonnay, I relish vibrant, delineated, gripping wines with high-pitched aromatics and distinctive terroir character. And fresh in my mind was what numerous producers had reported during my previous visit to the region early last October, just a couple weeks after the 2015 harvest ended. They told me that 2015 was an exceptionally warm drought year, with much of the harvest in Pouilly-Fuissé and elsewhere in the southern Mâconnais having taken place under extreme conditions at the end of August, when a hot Sirocco wind from the south was concentrating the grapes and sucking the moisture out of the berries—and out of the pickers too. 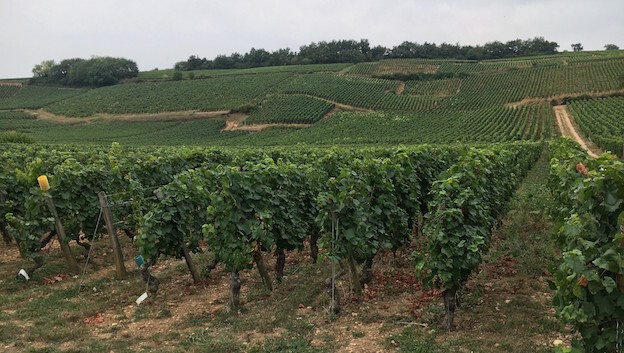 I was aware that while the Côte de Beaune had benefitted from some perfectly timed rainfall to refresh the vines at a few key points during the summer, very little of this moisture had reached the Mâconnais, barely 50 miles to the south. What I found was indeed a crop of rich, high-alcohol wines whose soil character is frequently dominated, at least in the early going, by varietal and vintage character, not to mention baby fat. But I buy wines, not generalizations, and so should you. The 2015 vintage also produced many compellingly rich wines. The winter was unusually mild. Following a chilly spell in early March, temperatures moderated during the second half of that month and remained warmer than average through April, leading to a very early and relatively quick flowering, which began toward the end of May and mostly finished during a very warm spell in early June (some growers, I should note, reported that millerandage or coulure held down their final crop levels). The rest of May remained warmer than normal, while a stifling eight-day period of heat began on June 30. Temperatures remained significantly higher than normal until the last few days of July. The weather during the first half of August alternated between very hot days and more moderate, cloudier periods, but the heat returned with a vengeance at the end of the month, breaking on the night of August 31, luckily without the violent hailstorm that caused so much damage in Chablis—in fact, with only 5 to 10 millimeters of rain. That change in the weather essentially marked the end of summer heat, as the next two weeks brought temperatures mostly in the 70s, and then in the 60s during the second half of the month, with some sporadic rainfall. 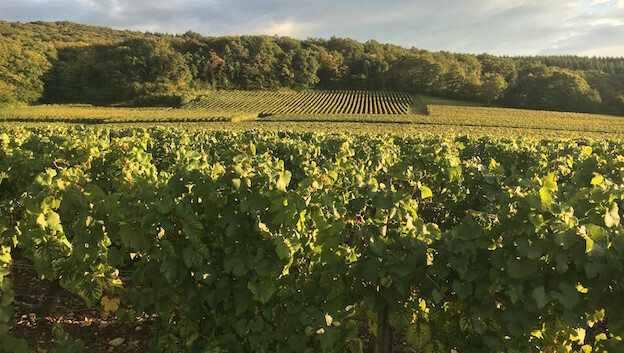 Most estates in the southern portion of the Mâconnais, especially in warmer sites close to the Saône river and in vineyards at lower altitudes, started harvesting in late August, during the heat spike. (A couple of these producers actually told me that they should have harvested even earlier.) A number of growers maintained that the last five or six days of August raised both sugar and acidity levels in the grapes through evaporation of water, and that fruit harvested during this period could produce very rich, concentrated wines with enough freshness for balance. But others intentionally held out in the hope that some rain would fall, because they were concerned about excessively high alcohol levels and believed that the small, thick-skinned grapes needed a bit more juice. Those who waited to pick in cooler conditions in September often claimed that they did not lose much acidity, but their fruit was sometimes even higher in sugar, and in some cases their alcoholic fermentations went very slowly (a few wines were still eating through the last of their sugar on my September visit!). In the north, no one started in August, and the harvest took place entirely under cooler conditions in early September, with some estates not starting until September 10 or even later. Jean Thévenet’s Domaine de la Bongran, for example, did not begin harvesting until September 15 and reported a slight dilution of grape sugars but better overall balance as a result. Cooler sites in the north, including those located farther from the moderating influence of the river, were able to take advantage of the cool-down in September and benefited from more hang time; these wines often show a very favorable combination of density and energy for the year, even when alcohol levels were high and acidity levels modest. And of course there’s a distinct advantage to bringing in the crop at cooler ambient temperatures. Interestingly, the warmer and more humid sites on the first slope west of the river made some very rich but totally dry wines, sometimes a little topheavy, as there was no botrytis in 2015—or in 2014, for that matter. Although a lot of 2015s have low total acidity, levels of the more stable tartaric acidity, as well as pHs, tend to be healthy—similar to the wines of the Côte de Beaune—and wines from thick-skinned grapes also have strong phenolic material, even noticeable tannins, to buffer their alcohol. A natural vintage of comparison, owing to the heat and drought in 2015, is 2003, but the 2015s have much more flavor interest and the grapes still had more juice than in 2003. Many growers also compared their 2015s to wines from warm, dry years like 2009 and 2005. Of course, I should note that while 2015 was an extreme growing season, there may be more like it in the near future. The Mâconnais, after all, has been radically affected by climate change. Even 20 years ago, growers needed to let their fruit hang in order for acidity levels to come down to drinkable levels, especially in cooler spots like Vergisson, Pierreclos and Milly-Lamartine as well as inland sites in the northern reaches of the region. Now the fruit ripens almost every year, and the greatest challenge is often to preserve natural acidity in the grapes. My main criticism of the 2015s is that their high alcohol and atypical fleshiness often mask terroir character and minerality. Many of the ‘15s possess considerable baby fat, and some show strong elements of licorice, menthol and honey, along with very ripe soft citrus and even tropical notes. Many growers describe their wines’ exotic or liqueur-like qualities as “southern.” Even some nicely balanced and reasonably fresh examples struggle to escape the stamp of the vintage: it’s normally difficult to mistake a 2015 for a 2014. The ‘15s typically lead with their fruit and their obvious ripeness, showing more varietal character than vineyard typicity. They’re in more of a New World style, and consumers who like fuller-bodied, mouthfilling Chardonnays will enjoy them. The producers who describe their 2015s as dominated by fruit normally consider the vintage best suited for fairly early drinking. Still, there are some remarkable 2015s that combine high alcohol levels, totally clean, highly concentrated fruit and healthy acidity and pHs. Some of these wines will probably surprise with their longevity. A couple producers marveled over wines with close to 15% alcohol and more than 4.5 grams per liter of acidity (in some but not all cases helped by blocked malolactic fermentation) and this combination is downright freakish. It’s not all superripeness in 2015, though. Some vineyards with very warm south and southwest expositions and shallow rocky soil suffered some blockage of maturity from the sunshine and drought in July and late August, and these wines often lack the stuffing to support their edgy finishes. In some cases, sugar maturity galloped ahead of phenolic maturity—or even the maturity of the juice. Some wines show their obviously high alcohol in a blurriness of aromas and flavors, or in an element of bitterness that can give their finishes a dry edge. And others lack mid-palate density or full skin ripeness because they were picked too early or ripened too quickly at the end; these wines can also finish tart or phenolic, with their skin tannins insufficiently buffered by mid-palate material. On the other hand, many producers in the southern Mâconnais consider 2014 to be one of the handful of great vintages for the region, as the better wines here offer a superb combination of vibrant aromatics, density, fresh acidity and clear minerality. In cooler areas, and especially in the northern Mâconnais, some wines can lack a bit of depth—there wasn’t quite enough heat or sunshine for total ripeness, and in some cases the yields were a bit too generous—and although the vintage is very good here, it’s harder to find exceptional wines. The ‘14s are very clean wines, as the grape skins remained healthy and the harvest took place under favorable conditions in September. Some wines are a bit austere in the early going—especially next to their 2015 siblings—but the better ‘14s can be compared to those of the Côte de Beaune for their aromatic purity, mineral spine and potential ageability—and their impression of density without weight. Many ‘14s show more personality today than they did a year ago from barrel or tank while having retained their essential tautness. Not surprisingly, most producers prefer their 2014s to their 2015s, and so do I. (As a general rule, the minority of producers who say they prefer their 2015s to their 2014s are in the north.) I prize the minerality, vibrancy, density, definition and grip of these wines—their elegance and lightness of being. The best wines have the inner-mouth tension, balance and strength of material to age gracefully. In my coverage of the Mâconnais this year, I have made it clear whether the 2015s I tasted were finished wines or were still in barrel or tank by providing scoring ranges for wines not yet bottled. I have also provided tasting notes for finished 2014s that I sampled last year from barrel or tank; in a few instances I have updated my notes on ‘14s that I tasted last year just after they had been bottled. As always, the Mâconnais offers a much more affordable alternative to the wines from the Côte de Beaune for collectors who gravitate toward soil-driven Chardonnay. Yes, the prices for the better Mâconnais wines have risen substantially in recent years, but even the region’s top bottlings are often 50+% cheaper than wines of comparable quality from the swankier villages of the Côte de Beaune. 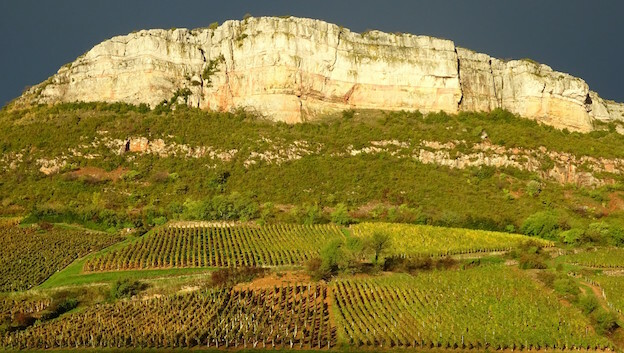 The Mâconnais, especially Pouilly-Fuissé, shares some of the same complex clay-and-limestone soils as the Côte de Beaune and benefits from an even wider range of expositions and altitudes. Knowledgeable wine lovers are already exploiting the buying opportunities offered by the most talented Mâconnais producers and by the region’s best and most distinctive sites, which are premier crus in all but name. Speaking of which, here’s a quick update on the new classification in the works for Pouilly-Fuissé. The Union des Producteurs de Pouilly-Fuissé, under the leadership of Frédéric-Marc Burrier (owner of Château de Beauregard in Fuissé), has assembled a list of about two dozen traditionally superior climats as candidates to be upgraded to premier crus, which do not currently exist in the Mâconnais. Currently, there are only five so-called “crus” in the region: Pouilly-Fuissé (which includes the villages of Chaintré, Fuissé, Solutré-Pouilly and Vergisson), Pouilly-Vinzelles, Pouilly-Loché, Saint-Véran and, in the north, Viré-Clessé. 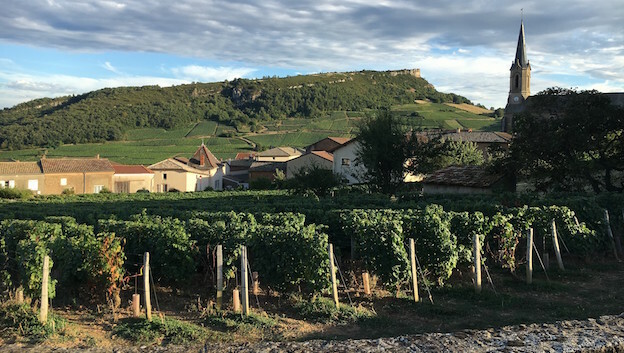 But a number of favored sites have proven over the years to make wines of exceptional quality; here I’m referring to top sites like Ménétrières and Le Clos in the commune of Fuissé, Vers Cras in Solutré-Pouilly and Maréchaude and Sûr la Roche in Vergisson. The INAO (Institut National des Appellations d’Origine) will nominate new members for both its regional and national committees by the end of 2016. The decision on Pouilly-Fuissé’s premier cru proposal will be made by the new INAO committees in April of 2017. If all goes according to plan, these new premier crus will officially go into use in 2018. This will provide a boost to sales of these wines, because now consumers will be able to look for examples from the best vineyards—and get to know the unique characteristics of the various sites—rather than simply relying on the producer’s name or even proprietary names on the labels. One can only hope that official premier cru status will not drive prices for these wines even higher. I tasted all of the wines reviewed in this article during my time in the Mâconnais in September and in subsequent weeks in New York City. As in the past, I focused on the white wines of the region, although a few interesting reds sneaked into my coverage.